Japanese rubber stamps are very fun and easy to use. 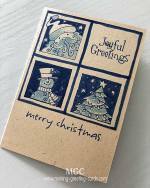 I love to experiment with these Asian style rubber stamps very much and very often I found myself taking out these rubber stamps to create my own Japanese style greeting cards. Here's a picture of some Japanese Stamps by Komodo in my Asian collection. To get ideas for these rubber stamps, I usually browse through Japanese magazines, and design books, etc. Another idea is to look at Japanese products packaging. Or just copy the card making designs suggested on the back of the brochure or leaflet that come with the rubber stamps. After awhile you will begin to get the idea of working with Asian style rubber stamps and start making your own Asian style greeting cards with these craft stamps. 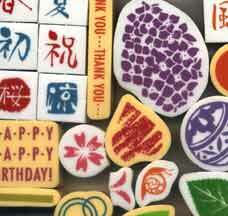 Below are some oriental card designs that use these versatile rubber stamps. I created this simple spring card using sakura flower stamp as well as a leaf and a rings or circle rubber stamps. I stamped a few flowers on another similar white card and trimmed closed to the edges to create a three-dimensional look. Use a dabber or create one using cotton wool and a clip to ink and dab desired colours onto white card stock to create a coloured background or shadow. Refer to both the Spring and Summer Cards. A light layer of evergreen colour was dabbed around the stamped images to bring the scattered elements together. This is a quick simple summer card with an Asian feel which can be created in 5 minutes. 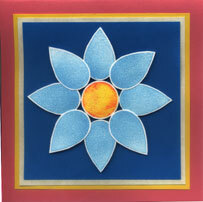 The only 3-dimensional element was the floral cluster in the centre on the lower part of the card design. Combine the word and shaped rubber stamps and make this lovely simple Happy Birthday card. 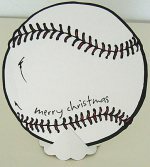 Japanese greeting card designs are usually simple and clean-cut so it is best not to clutter it with too many elements. The above Happy Birthday card is a simple dimensional design using doubled-sided foam tape. The stamp design for the candle flame is also used below to create flower petals. Here's another card created with the circle stamp and tear drop shape stamp. So simple! 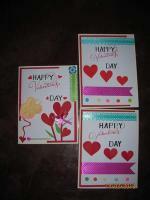 Just ink the stamps and stamp on white card-stock. Then trim around edges of the stamped images and mount on card front with glue as well as doubled-sided foam tape. Once that's done, layer card onto other bigger coloured cards to frame the design. 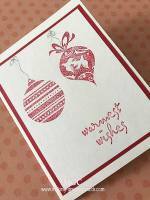 The circle as well as the tear drop stamps used here are great for creating many card designs. In my opinion, all card crafters should have a set of these in their rubber stamp collection.